Synthetic Bagpipe Drone Reeds, Traditional Cane Chanter Reeds and Cane Small Pipe Reeds. 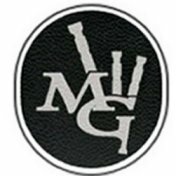 MG Reeds are hand crafted from the finest natural and synthetic materials available. They have proven to be rich, reliable and steady. Read more about them here. Comprehensive help guides and set up information is available on this website, please explore and share these pages.